No you to Washington where the partial government shutdown is entering day 12. President trump has invited congressional leaders for a bipartisan meeting as the shutdown takes a toll. We’ll take a look at these images. Mounds of trash piling up at our national parks. Where a few workers are on hand. 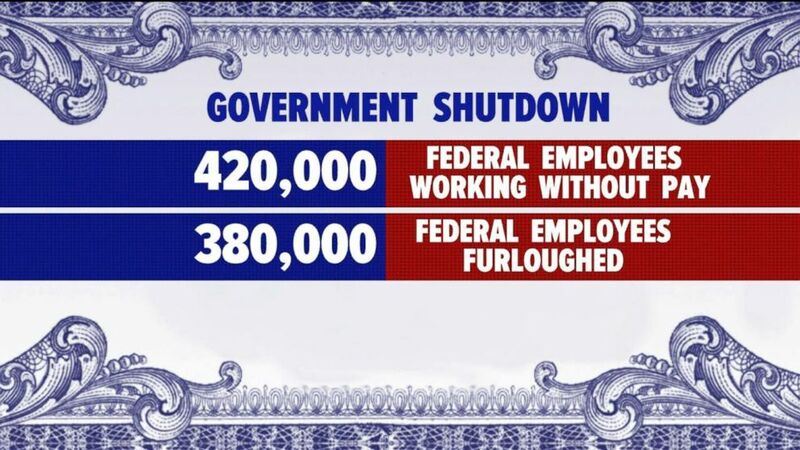 More than 400,000 are being forced to work a second week without pay while nearly 400,000 more are on furlough. Mary Bruce has the latest. Reporter: The two sides are finally talking here today for the first time since the government shutdown 12 days ago. The president and congressional leaders have agreed to meet today at the white house but that may be where the agreement ends. I would not hold your breath for any major breakthrough as both sides are still refusing to budge and with the new congress set to start here tomorrow, well, the president is tweeting saying the shutdown is not where Nancy Pelosi wanted to start her tenure as speaker saying let’s make a deal. Pelosi fired back tweeting the president has given Democrats a great opportunity to show how we will govern responsibly and quickly pass our plan to end the irresponsible trump shutdown. Democrats here are expected to pass legislation tomorrow that would open up the government but the president is already rejecting that plan because, robin, it does not include that money that he wants for his border wall. We have showed the impact of the shutdown and it’s having an effect on how immigration cases are handled. You have 800,000 federal workers working without pay or furloughed and that does include the nation’s immigration judges which means that this fight over the president’s border wall has reportedly paralyzed the immigration courts and is allowing some undocumented immigrants to dodge deportati as this shutdown fight continues. Consequences are cascading.